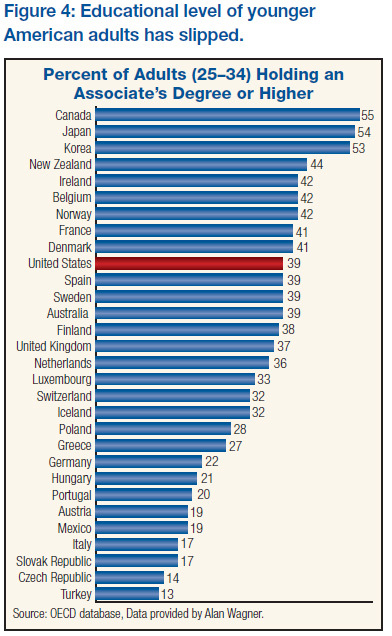 According to the report, the rates of college participation in the U.S. has declined relative to other countries. 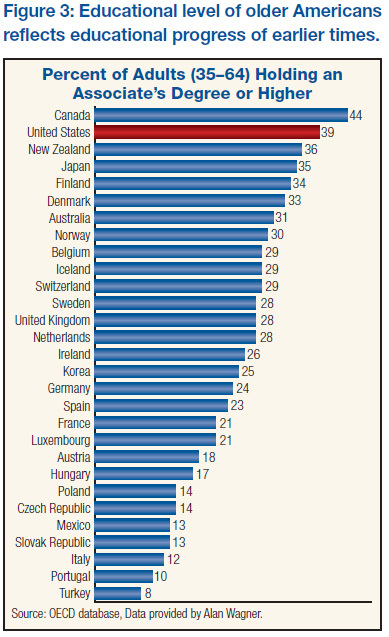 The U.S. ranked 2nd in college participation just over 10 years ago. 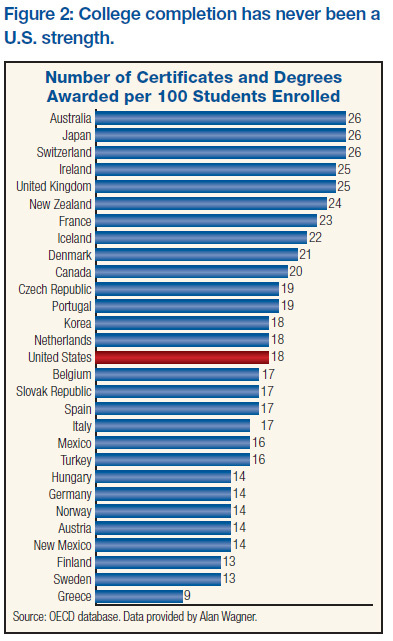 Now, the U.S. ranks 7th among 29 compared countries. 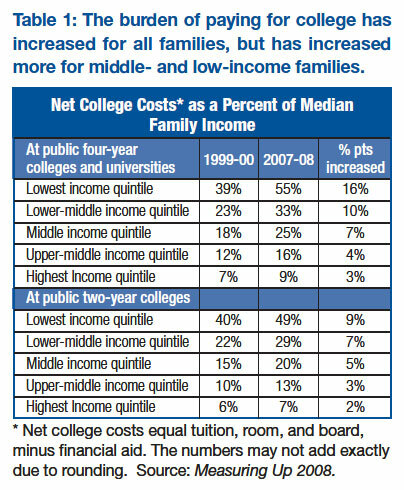 The study also said that “the financial burden of paying for college costs has increased substantially, particularly for low- and middle-income families, even when scholarships and grants are taken into account.” A quintile is 20%; therefore, the lowest income quintile is the bottom 20% of earners, etc. 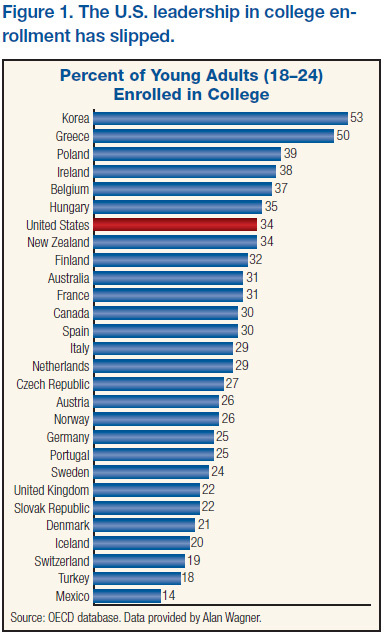 To read the entire report, along with previous years, click on http://www.highereducation.org/ and Measuring Up 2008.